Condo Culture | Brand New, Groundbreaking Condo is coming to Uptown Waterloo! Brand New, Groundbreaking Condo is coming to Uptown Waterloo! 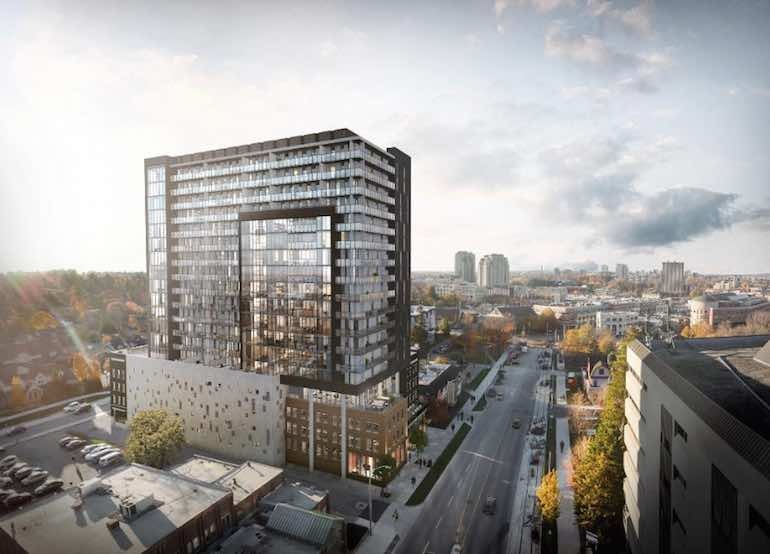 Condo Culture and HIP Developments will be teaming up to bring something very special to the former Brick Brewery property on King Street, Uptown Waterloo. This iconic property will soon be home to what is sure to be one of the most spectacular condominiums ever built in the Region. The building, which is taking inspiration from trendy hotels and urban hotspots in cities like Toronto, Vancouver, San Francisco and Miami is sure to be nothing short of spectacular and will integrate a number of the amenities and features many of you have been asking us for. Perfectly located in proximity to endless amenities in Uptown Waterloo, steps to the popular Bauer District and situated immediately between both the north and southbound LRT lines, the location is nothing short of phenomenal but that’s not even the best part. We believe this building will be a true game changer locally and with the features being integrated into the development, we can almost guarantee that 181 KING will leave you speechless and possibly even hypnotized!!! (stay tuned for its official name…..we’ll be releasing that shortly). Can you guess one of the features that will separate this building from the rest? Hint: it’s looks blue, moves with you, and is the ultimate expression of relaxation and refreshment after a long day at work or on a hot, sunny summer weekend like the ones ahead. OK, for those of you who already deep into the margarita’s and still having a hard time with that one, we’ll give you one more hint - it rhymes with “COOL” and rest-assured it will be! We can’t release the full details quite yet but here’s what you need to know. We will be launching the project THIS SUMMER. For day-zero pricing and to be the first to hear more about this project, including official release dates, pricing and special incentives available only to Condo Culture faithfuls, drop into our Waterloo store or shoot us an email at [email protected] and we’ll add you to our registration list for the project before its made available to the general public.